Start your happily ever after in one of America's oldest and most romantic cities! Begin your newly wedded bliss in one of the most romantic cities in America. This three-day itinerary will provide inspiration and take the stress out of planning a relaxing and romantic honeymoon in New Orleans. 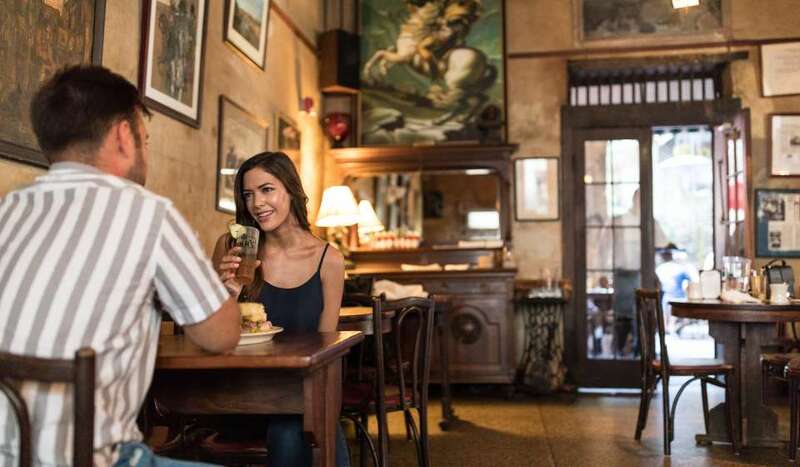 Spark a flame or rekindle an old one at one of New Orleans's many velvety lounges or candle-lit courtyards that are sure to stir up desire. Start your evening off with a walk at sunset along Woldenberg Park through the Moonwalk and watch the sun dance across the Mighty Mississippi. Toast your relationship over pre-dinner cocktails at Napoleon House. You’ll feel like you’ve stepped back in time when you take a seat in the dimly lit, rustically romantic barroom. Order up the bar’s signature Pimm’s Cup, and take in the scenes from the street outside. Once the sun has gone down, dive into some good ole New Orleans cuisine. 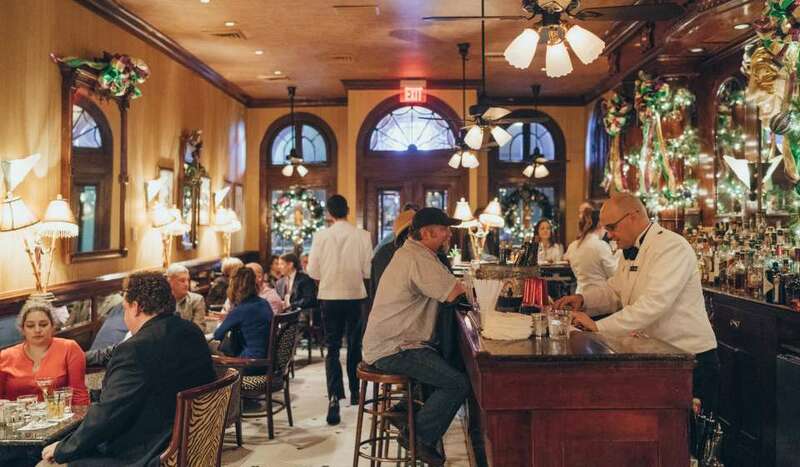 Bayona is a top pick for romantic fine dining in the French Quarter, helmed by beloved (and critically acclaimed) New Orleans Chef Susan Spicer. Linger over artistically crafted cocktails in the lush courtyard before taking a seat in the main dining room. The warmth from the walls seems to radiate throughout the whole interior of the restaurant, providing a dining experience so intimate, it will leave you glowing. 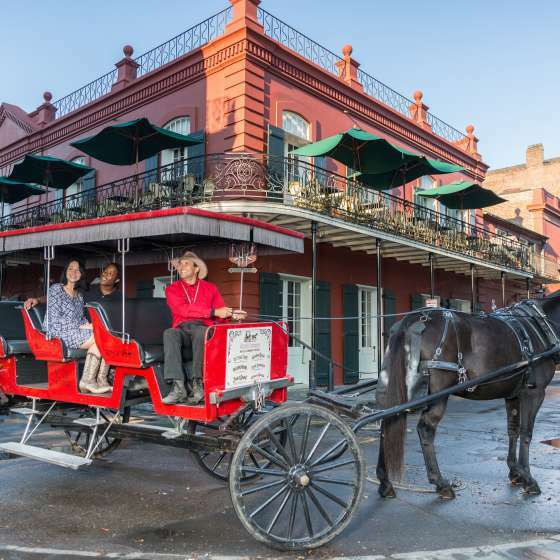 After dinner, swing by Jackson Square (on the Decatur Street side), and sweep your loved one off of their feet with a late-night carriage ride around the Quarter. Tales of the city and picturesque views envelop you on this journey through one of America’s most historic areas. Finally, it’s always fun to end an evening with a little something sweet, so before heading back to your hotel, swing by Cafe du Monde for a cup of café au lait and an order of world-famous beignets. 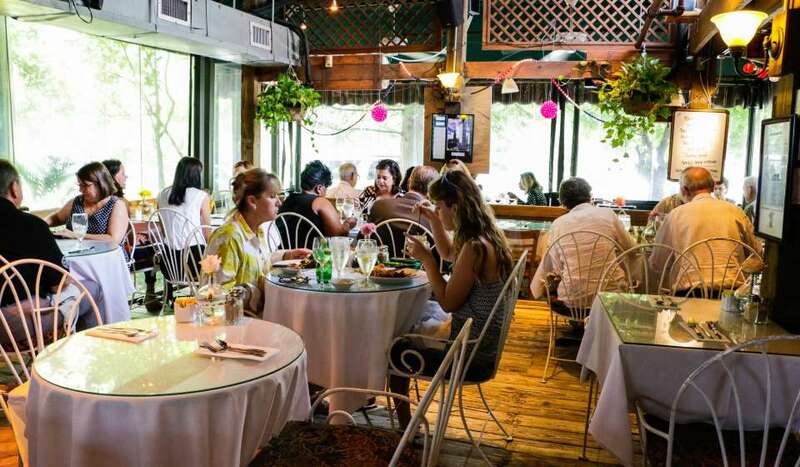 Start your morning off right with a delicious brunch at Broussard’s. The restaurant itself is enchanting; it’s nestled in a beautiful courtyard along a quieter stretch of Conti Street. 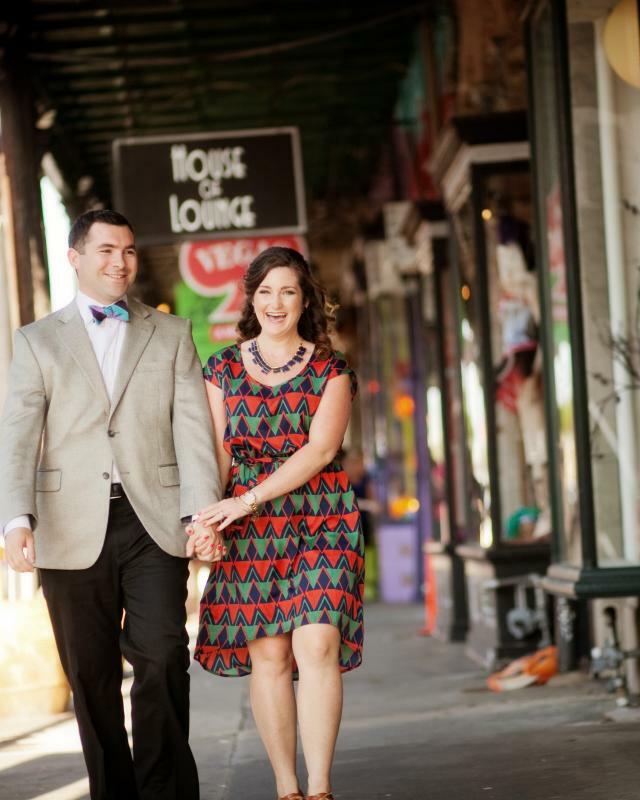 After brunch, it will be time to hit the streets for a leisurely stroll around the French Quarter. Wander in and out of the galleries that line Royal Street, enjoying the lush “hanging gardens” that fill the wrought iron balconies of the homes as you explore side streets along the way. Slowly make your way up to Killer Po-Boys, where you’ll grab a couple of sandwiches to go for a picnic in City Park. Don’t think you’ll be hungry enough for a full lunch? You can also swing by Rouse’s Market on the corner of Royal and St. Peter streets and grab some cheese and wine to bring with you. 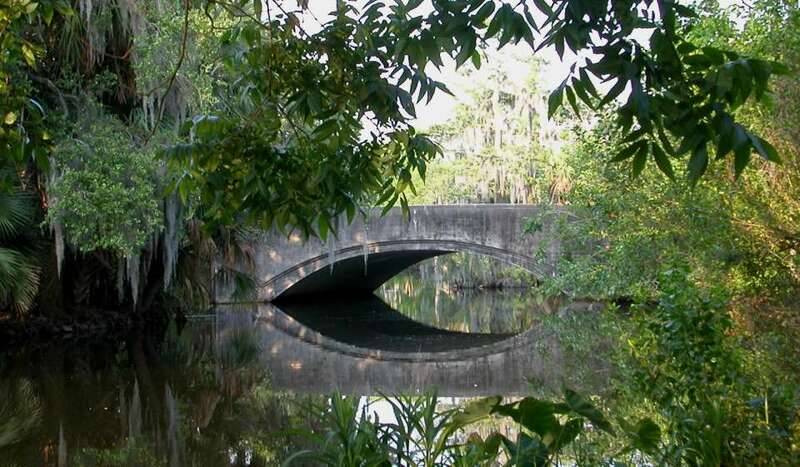 Head up to catch the Canal Street Streetcar (City Park/Museum line), which will bring you to the front of the City Park and settle down under a canopy of oak trees to enjoy your picnic. Prefer waterfront dining? Check out the beautifully ornate Peristyle that overlooks Bayou Metairie. Once you’ve finished your meal, wander over to the dock at Big Lake, where you can rent a pedal boat from City Park Boat & Bike Rentals or a relax with a gondola ride. As the sun starts to set head down Esplanade Avenue, crossing over Bayou St. John. This neighborhood, known as Esplanade Ridge, has a decidedly funky romantic vibe. If you’re not quite ready for dinner, swing by Pearl Wine Co to have a glass of wine. If you like what you try, go ahead and grab a bottle – most of the restaurants in the neighborhood will allow you to bring your own wine for a slight corkage fee. If you’re in the mood for French, head right across the street to Cafe Degas, a quaint little bistro tucked away on Esplanade Avenue. This charming café provides the perfect intimate setting that makes you feel like you are in a world of your own. Or if you’re craving Spanish food, walk across Esplanade to Lola’s. Locals flock to the cherished neighborhood eatery for what many swear is the best paella in the city. With only a few tables, this restaurant packs a ton of charm. After dinner, head to Frenchmen Street in the Marigny neighborhood. This part of town is unlike any other in New Orleans, hosting artists, philosophers, musicians and anyone looking to live the chill, bohemian lifestyle. The jazz clubs along this strip are some of the best in the city. Snug Harbor, d.b.a., and The Three Muses are just some of the popular venues to catch live, local New Orleans musicians. Looking to head back to the Quarter? Close the night out with a trip to the Palm Court Jazz Cafe or Pat O’s Patio Bar and listen to jazz while sipping on classic New Orleans cocktails. 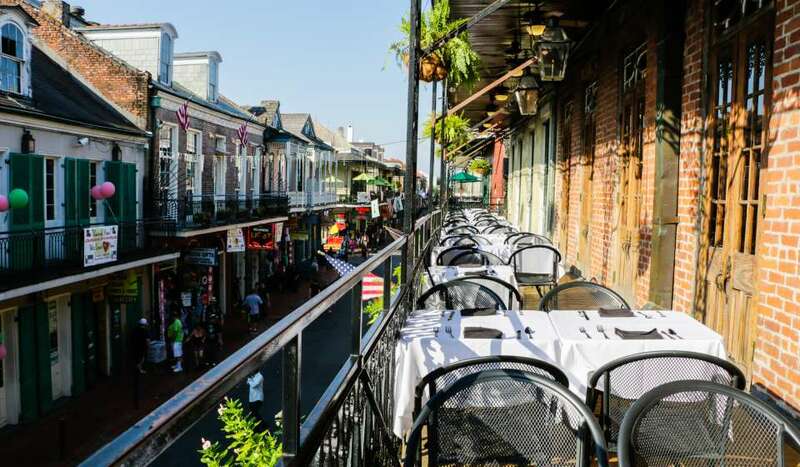 The laid back atmospheres make these great places to unwind and take in all the beauty of a traditional French Quarter courtyard while listening to the wonderful sounds of jazz. 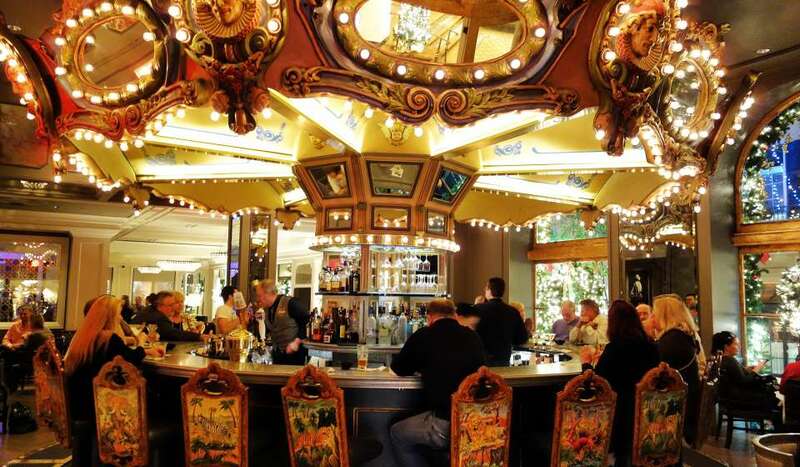 Or if you’re in the mood for something unique and unforgettable, then check out the revolving Carousel Bar at the Hotel Monteleone. Hop aboard and sample one of the many delicious signature cocktails served up in the famously lux setting of this legendary New Orleans hotel. This will be a night you will never forget! You can’t come to New Orleans without experiencing a Jazz Brunch! 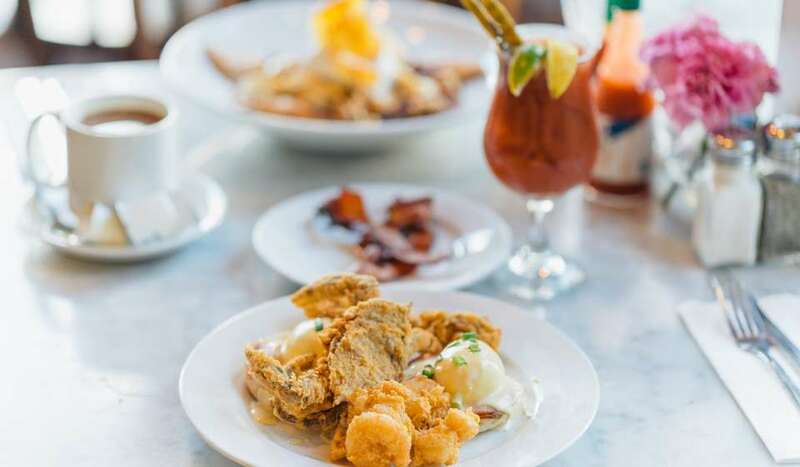 Arnaud’s in the French Quarter serves up fantastically delectable New Orleans brunch fare in a historic setting to the tune of live Dixieland Jazz. Or if you’re ready to jump start your Uptown adventure, go ahead and hop on the St. Charles Streetcar, ride it up to Washington Avenue, then walk down Washington to Commander’s Palace. 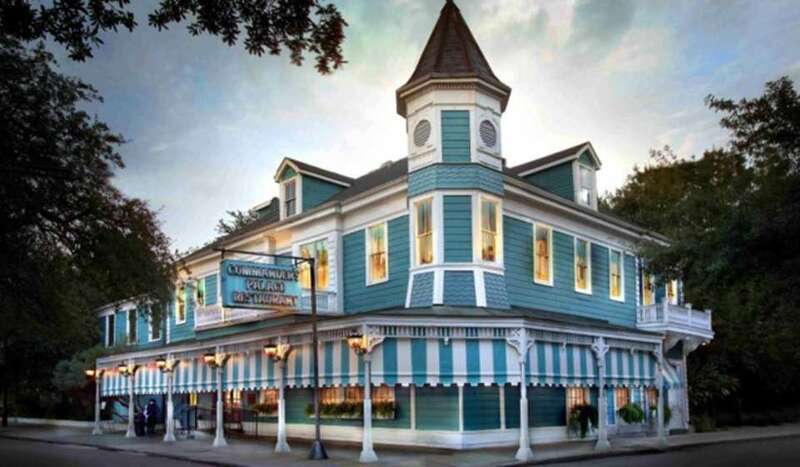 This iconic Garden District restaurant serves up a three-course Jazz Brunch that’s absolutely to die for. 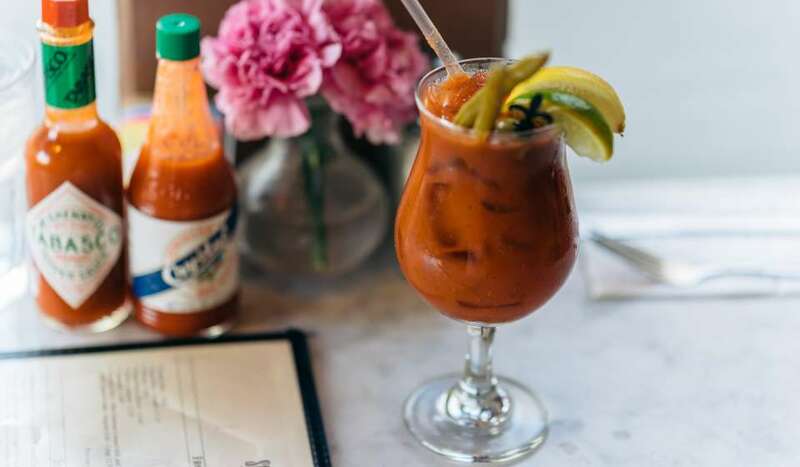 Make sure you try out one of their delicious daytime libations (they’re famous for their Creole Bloody Mary) – they’re too good to miss! Cross Magazine Street until you come to the entrance of Audubon Zoo and get ready to step into one of the nation’s top-ranked zoos. The Audubon Zoo is a world of its own – see exotic animals, reptiles, elephants and more. Walk through The Louisiana Swamp exhibit, which is a re-creation of a 1930s swamp settlement equipped with a trapper’s cottage, Spanish moss, white alligators and cypress knees. Sometimes one of the best ways to rekindle a flame is to act like kids again, and nothing is quite as care-free as a trip to the zoo. Pose for pictures by the elephant fountain, or check out a show at the sea lion pavilion. You may even learn a thing or two at this state-of-the-art nature facility. After you’ve seen your fill of wildlife, head back through Audubon Park until you hit St. Charles Ave. and hop on the streetcar back towards downtown. 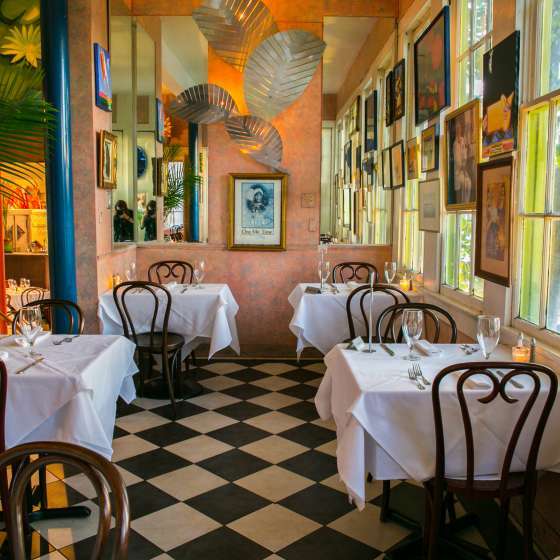 If you’re ready for a bite to eat, get off at Robert Street (about five blocks past Jefferson Avenue), and head towards Upperline Restaurant.The menu is decadent and delicious – Creole contemporary at it’s best. The walls are dripping with artwork from local artists, and the hominess of the building itself creates a comfortably upscale ambience. Try the restaurant’s signature fried green tomatoes topped with shrimp remoulade, or opt for the opulently delectable roast duck. Or if you’d prefer to stop for a pre-dinner cocktail before settling into a meal, forgo the Robert Street stop, and continue riding down St. Charles until you reach The Columns Hotel. This iconic New Orleans hotel, and the bar that spills from its lobby onto its expansive front porch, is a must-see for anyone visiting the city. The dark, Victorian lounge-y atmosphere of its interior lends itself to an almost scandalous sense of romance (after all, it was used as the bordello in the 1987 Brooke Shield’s flick “Pretty Baby”). Feel like getting some fresh air? Take a seat outside – where you can sip your cocktail while overlooking the beauty of St. Charles. When it comes time for dinner, call a cab and head over to either La Petite Grocery or Lilette. 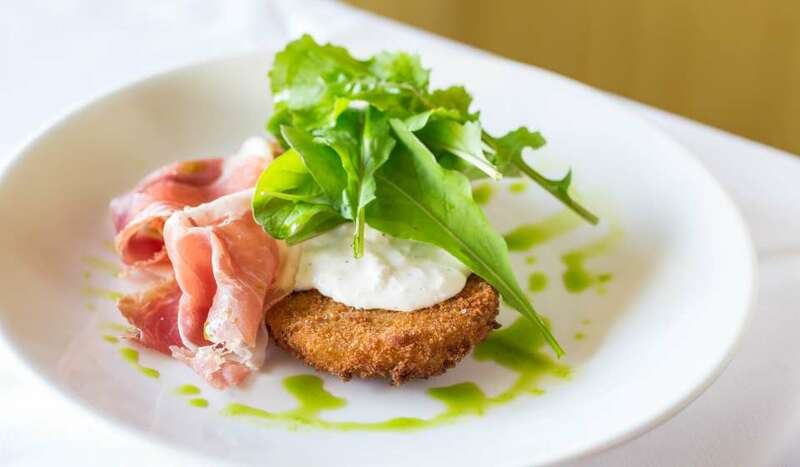 Fine French fare is always on the menu at La Petite Grocery. If tasty food with a continental touch is for you, be sure to drop in for dinner. Lilette, on the other hand, is an upscale bistro that specializes in Italian-French fare. The space itself is sophisticated and sultry, with deep red walls, and creamy white banquettes. The restaurant can tend to get a little loud as the night goes on, but that’s all the more reason to lean in closer. 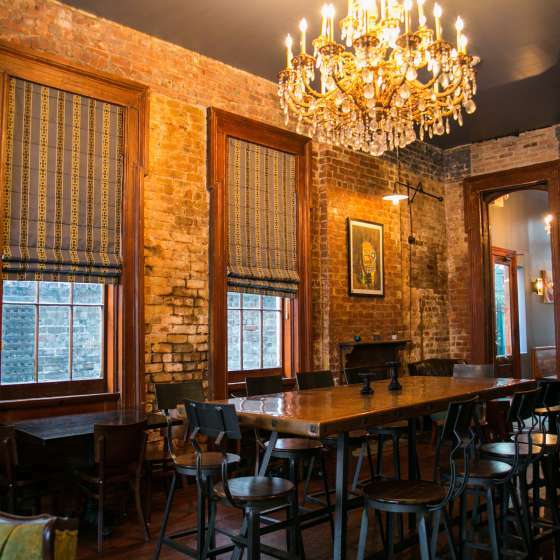 As your weekend winds down, you may want to return to the Quarter for one last late-night stroll, or grab a nightcap at one of our picks for the city’s most romantic bars. No matter how you choose to wrap up your romantic tryst in the Big Easy, one thing is certain; the memories you made in a weekend will last a lifetime. Now that’s amore.